So have you been planting? How are your seedlings doing? Have you started a compost yet? Now I’m not going to pretend that I’m an expert on composting, but I have learned a few things over the past year. And the first thing you’re going to need is a place to compost. I use this inexpensive plastic tote. When you’re choosing your plastic tote, make sure to watch the plastic numbers. You want to choose a plastic with the recycle codes 1, 2, 4, or 5. Drill holes all along the sides, top, and bottom. 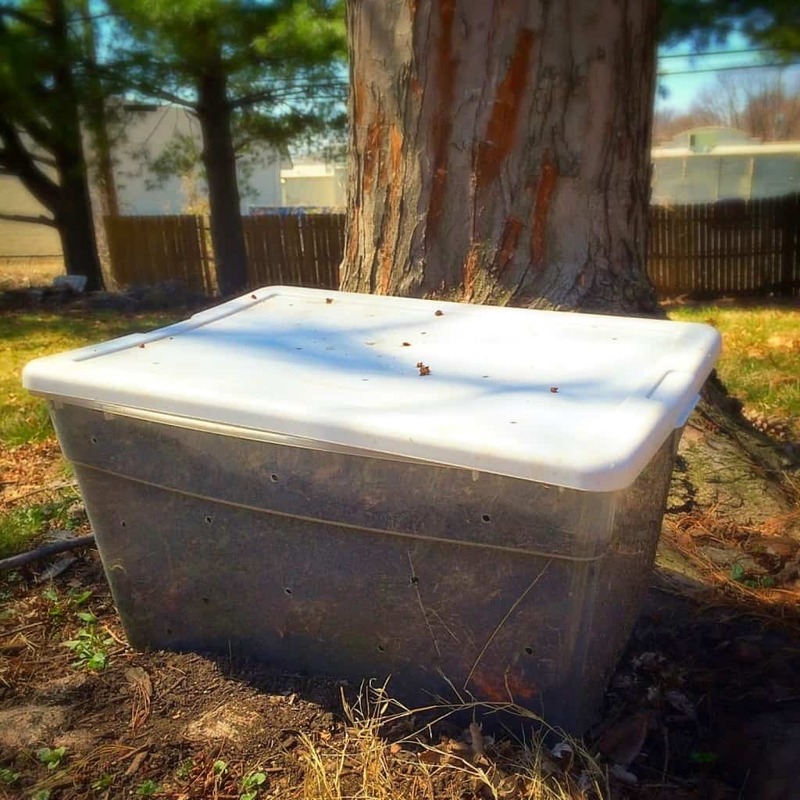 Composting doesn’t have to be overly complicated. 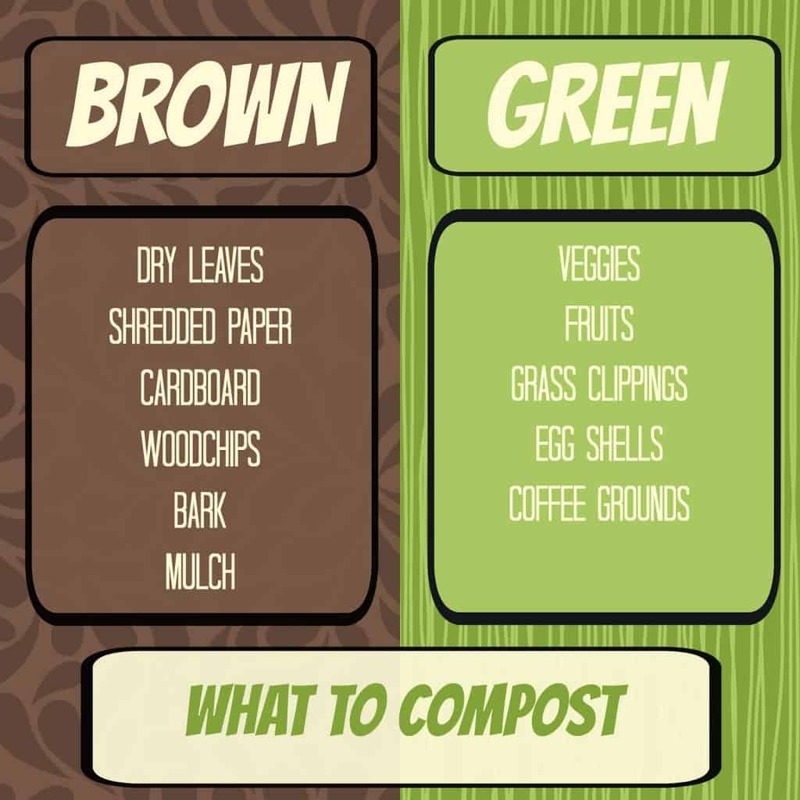 You really just need to remember to add both brown and green items to your compost. 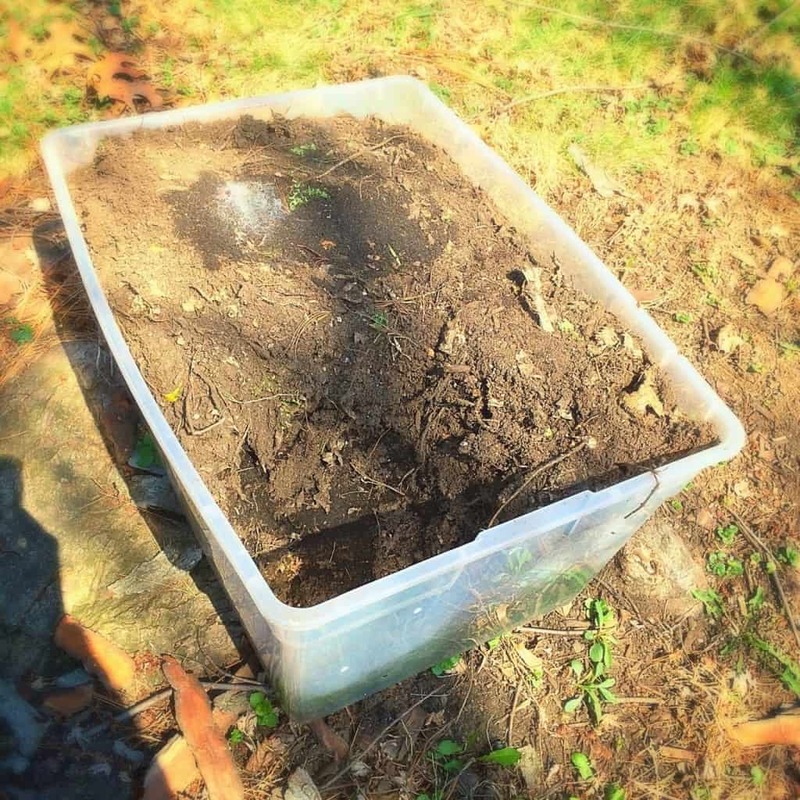 Start your new compost with a heavy dose of “brown” items then cover with some fresh dirt. Then start adding some green items. Keep your compost moist and stir it every couple of days. It shouldn’t be smelly or overly wet. If either of these things happen add some more brown material. When your compost is ready, go ahead and add it to your garden. A great way to test whether or not your compost is ready is called the bag test. Put some compost in a bag and give it a sniff. Place the bag in a drawer for a day or so. Then give it another sniff. If the smell hasn’t changed, it’s good to go. If the compost started to stink, then give it some more time. Compost is a great fertilizer for your veggies, lawn, or flower beds. How do you compost? What do you compost in?